When deciding on your next family car there are many factors to consider and it may seem like a daunting task to many parents. But there is help out there; the first thing you have to do is consider the nature of your family, how big it is, what you do in the car – just the school run? A commute? Or a big out door family cycling weekend. Whatever your needs, make a list and choose a car that ticks all your boxes. The biggest factor when deciding on a family car is always safety, whether it’s two parents and a baby, or aunties, uncles, cousins and two Labradors, safety is always an issue. Even the most basic of safety packages should cover anti-lock brakes (ABS), electronic stability control (ESC) and air bags for every seat in the car, perhaps even side-curtain airbags. Safety features such as this should come as standard with any new model of car claiming to be for the family. But for the more pocket conscious buying a used car may be more of a realistic scenario, and used car prices by Auto Trader are showing that even some of the second hand cars come with all of the functions needed to make your car safe. 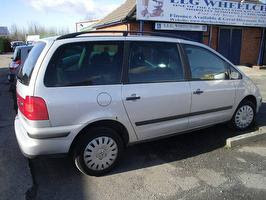 A used Volkswagen Sharan for example will feature all of the implicit safety features as they do come as standard on the original vehicle. Some used vehicles may have even had these safety features installed post original purchase making them even more value for money. Saying that the standard safety features explained above aren’t that expensive to have installed on any car. Remember to do your research and get the best deal on this, many family run garages may give you a better price than the big chains. I agree. Much practical to just buy a used car. Check!! its better to get the buy card but make sure it is in a good quality!! safety should always goes first..
we've never had a brand new car and i can say that secondhand cars can also deliver what brand new ones have. proper maintenance is the key. This is a good choice but I like grandia though. PRICEY nga lng but so spacious. Kasya kaming lahat.